Internationally bestselling author Stephanie Perkins brought together some of her closest friends and fellow bestselling young adult authors for the holiday anthology My True Love Gave to Me that a starred Publisher’s Weekly called “a rare holiday treat” and Romantic Times claimed “this is what all anthologies should aspire to be”. 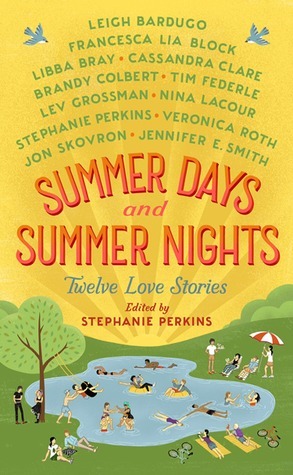 Now, she’s doing it again with SUMMER DAY AND SUMMER NIGHTS: Twelve Love Stories, another anthology filled with twelve new stories from a superstar lineup of young adult authors. Already receiving rave reviews, this anthology is the perfect beach companion for those long, hazy summer days. SUMMER DAY AND SUMMER NIGHTS, written by twelve bestselling young adult writers and edited by the international bestselling Stephanie Perkins, will have you dreaming of sunset strolls by the lake. So set out your beach chair and grab your sunglasses. You have twelve reasons this summer to soak up the sun and fall in love. As someone who absolutely adores summertime and romance, it's no wonder I was ecstatic to be asked to review this anthology as part of its book tour. I treasure the idea of a story being told with simplicity, yet such an enriching concept of losing oneself to a different set of stories, all centered around love. I decided to choose my most favorite story to share for this review, and that belongs to the talented beauty behind this great anthology of Summer Days and Summer Nights: In Ninety Minutes, Turn North by Stephanie Perkins. It's a short, sweet, and to the point story about two young friends who almost missed each other, and their fates. Marigold is on a mission to seek out North, her ex-boyfriend that dumped her just a few months ago after she broke the news about leaving town. She's come back now, in an attempt to rescue him from this small town in the mountains, where he's working the lifts that take tourists up into the Appalachian scenery. Immediately I felt as though I knew these characters and understood their past that was quickly catching up to their present. Marigold set out to claim her best friend back, and possibly coax him into moving to Atlanta with her. What she doesn't expect are the feelings that come tumbling back down the minute she's there with North. Oh how I love North's quirky, yet cool personality. I knew there was something much deeper with him when it came to Marigold, it just needed a second chance to surface. And here is that exact second chance waiting to happen. Stephanie Perkins is always a win for me. She knows just when to keep things light and easy, but oh man can she throw the punches and leave your heart aching. Her talents shine through in not only a three-book series, but also in short story form too. It's no wonder she is the reason for this delightful, enchanting, and oh so romantic anthology. A definite must read for the summer! Great review! I can't wait to pick this book up! 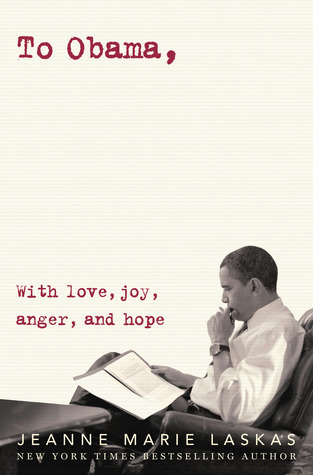 I've been hearing mixed review about this book, but now I really want to read it! Especially this story, since it's the continuation from MTLGTM :D Great review!